Eco Environmental were invited to tender for the bird deterrent installation work at this site in early 2011, when the client at that time only required minimal bird protection to a number of ledges and features to the Oxford Street elevation. 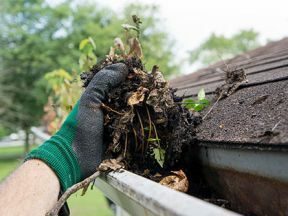 Undetected empty bird nests, chick fouling, associated debris, moss and wet compacted leaves will have a negative impact on the gutters and roofs of your buildings and commercial properties. Eco Environmental gains RISQS Accreditation for the second year running. 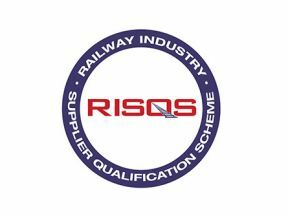 RISQS (formerly known as Achilles) is the UK Rail Industry supplier qualification scheme, providing a single common registration, qualification and audit process for suppliers shared by the UK Rail Industry with over 110 organisations within the transport industry. 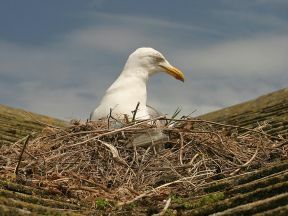 As autumn begins to draw closer you will have noticed that Seagull Breeding Season is over for this year. 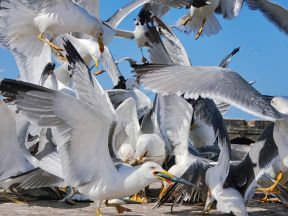 Given the amount of recent bad press our coastal Seagulls are receiving of late we at Eco Environmental would like to share a few thoughts about the current situation. 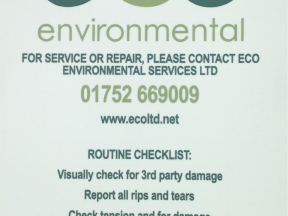 Eco Environmental are an established and well respected provider of nationwide Bird Control Services. 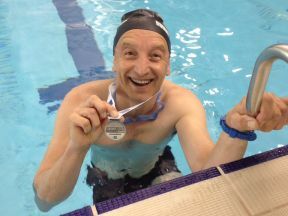 It's been a tough but very worthwhile swimming journey for our Wales and West Contracts Manager Dave Harry who recently took part in Swimathon 2015 fundraising for Ehlers-Danlos syndrome. 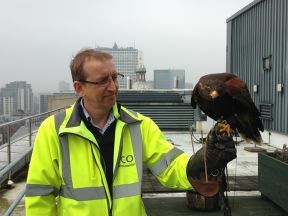 Falconry keeps Colmore Row Birmingham building free from birds. 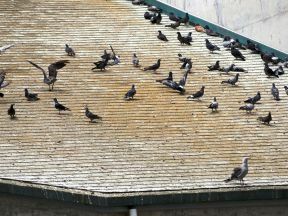 Eco Environmental Services were asked to provide an environmental solution to prevent birds establishing on the roof of an Office block in Colmore Row prior to the nesting season. 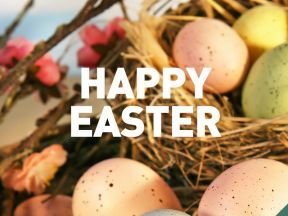 We will be closed on Friday 3rd April and re-opening on Tuesday 7th April. Looking forward to hot cross buns, cake and plenty of Easter eggs! 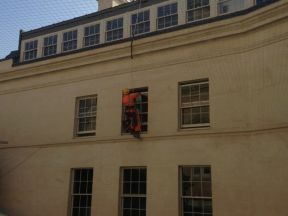 Eco Environmental were delighted to be chosen by Galliford Try as their preferred contractor to install our Seagull and Pigeon Deterrents to the Gainsborough Bath Spa Hotel.